I Have a Bad Credit Score, Can I Still Get a Mortgage? Is a bad credit score standing in the way of your dreams to purchase a home? If so, you are one of 98 million Americans who have poor or bad credit. Getting a mortgage with bad credit is no easy task, especially if you do not have cash or assets to back you up. 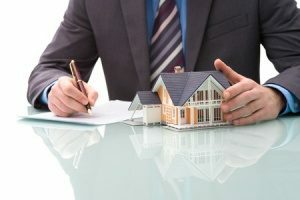 While it is certainly not impossible to get a home loan with a bad credit score, most lenders will err on the side of caution. Learn more about what options you have when trying to get a mortgage with bad credit. Before proceeding with your mortgage loan application, take a close look at your credit score to see where the problem lies. A credit score is a number made up of three digits. The score is derived from an algorithm based on information from your credit report. While there is a number of credit-scoring models out there, the most widely used is the FICO credit score. FICO is used by up to 90 percent of all U.S. financial institutions. FICO credit scores range from 300 up to 850, with the higher number indicating a lower risk. Payment History: Payment history accounts for 35 percent of your credit score. This category includes any account payment information, such as public records and delinquencies in payments. Amounts Owed: This category accounts for 30 percent of your score. The amounts owed section includes any debt you may have, such as credit card debt and loans. Length of Credit History: The length of your credit history accounts for 15 percent of your credit score. In this section you will see how long you have had certain accounts opened and the amount of time since their last activity. Types of Credit Used: Types of credits used accounts for an additional 10 percent of your score. This category may include installments and revolving accounts. New Credit: Under the new credit category which accounts for another 10 percent of your credit score, you’ll find any recent credit inquiries, as well as the number of accounts opened in recent months. Credit scores are put into four main ranges: bad credit, fair credit (also called “average” credit), good credit, and excellent credit. You are considered to have bad credit if your credit score is between 300 and 629. Fair credit scores generally fall between 630 and 689 and good credit scores between 690 and 719. Consumers with credit scores of 720 or higher are considered to have excellent credit. 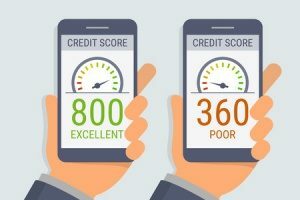 As scores can differ from bureau to bureau, most lenders will look at several scores to determine your credit worthiness. The problem with bad credit scores is that it shows lenders that you may not be responsible with your finances and have made major mistakes in the past. Maybe you failed to pay off your credit card debt or perhaps you have filed for bankruptcy in the past. Many applicants with bad credit scores will be denied by traditional lenders as they are considered high-risk. However, this does not mean that you cannot get a mortgage with bad credit. Many individuals with bad credit scores turn to specialized subprime lenders who offer home loans to consumers in attempt to help them to start rebuilding their credit. 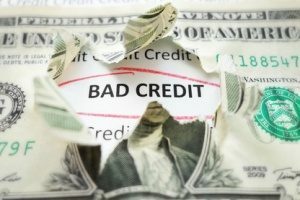 Is It Possible to Buy a House with Bad Credit? If you have a poor credit score, you may be wondering what options you have outside of traditional mortgages. Fortunately, there are alternatives. Bad credit mortgages, also known as sub-prime mortgages, are often offered to homebuyers with low credit scores. Due to being a higher risk, applicants often face higher interest rates to help compensate for the bigger risk taken by the lender. Your interest rate will primarily depend on your specific credit score, as well as other factors such as your income, assets, and ability to pay back the loan. The Federal Housing Administration, or FHA, is one of the most popular options for individuals with bad credit scores. The FHA typically requires borrowers to have a credit score of at least 500. If you wish to put down the minimum down payment of 3.5 percent, you will need to have a minimum credit score of 580. FHA loans were created in 1934 to boost ownership in the United States. Most borrowers find it much easier to qualify for this government loan than a conventional mortgage due to the more flexible terms and ability to acquire a loan with a poor credit history. Why Hire a Local Mortgage Broker? Acquiring a mortgage with bad credit is no easy task. That is why many individuals with poor credit scores rely on mortgage brokers to find the perfect loan for their unique situation. Mortgage brokers have regular contact with an array of lenders and have the tools and resources needed to get you the best loan possible based on your credit score, income, and various other factors. A mortgage lender can also give you options so that you can compare rates between lenders and acquire special rates. Working with a mortgage broker can also save you significant time. Mortgage brokers do the legwork for you by shopping for the best rates. Remember that even a small difference in mortgage rates can make a major difference in the long run, essentially saving you tens of thousands of dollars. When working with a mortgage broker, you may also save money in other ways. A mortgage lender may be able to waive certain fees, such as application, origination, and appraisal fees. If you have bad credit and are worried you will never be able to get a mortgage loan, know that you have options. Contact a local mortgage broker to see if you can still get a mortgage with bad credit.